Suppose you have a web application and you want to deploy it in Amazon cloud environment with load balance support. The whole process is pretty straight-forward and it generally doesn't take much time. For this post, I'm using Apache Tomcat web server and I already have a war file from my HelloWorld application. I'm using two instances and I have extracted my tomcat zip file into /opt/ folder in each of those two instances. I have also placed HelloWorld.jar file into /opt/apache-tomcat-7.0.39/webapps folder. Now, I will go to each of those two instances and will start tomcat server. After some minutes (or seconds) I should see my deployed web application is up and running. Which means, I can navigate to these URLs and able to see Log-In screen (initial page of my web app). All of the above steps which I described so far, have nothing to do with Elastic Load Balancing (ELB). Just like everyone, I just deployed a web app in tomcat server. Before I start showing steps for ELB, I'm assuming your web application is also up and running and you can navigate through URLs separately. Step#1: On AWS EC2 console, click on the Load Balancer option under "Network & Security" section. If you do not have any ELB yet, you will see an empty list. Click on "Create Load Balancer" button. Step#2: Write a name of your Load Balancer, this name will be used when it will create a default link. I'm also creating this Load Balancer inside my Virtual Private Cloud (VPC) that's why I'm selecting a specific VPC Id. By default, you might see only port 80 in the listerner configuration list, I have added port 8080 as my web app is running on port 8080. Add appropriate port based on your web application and click "Continue". Step#3: This screen is dedicated to Health check configuration. 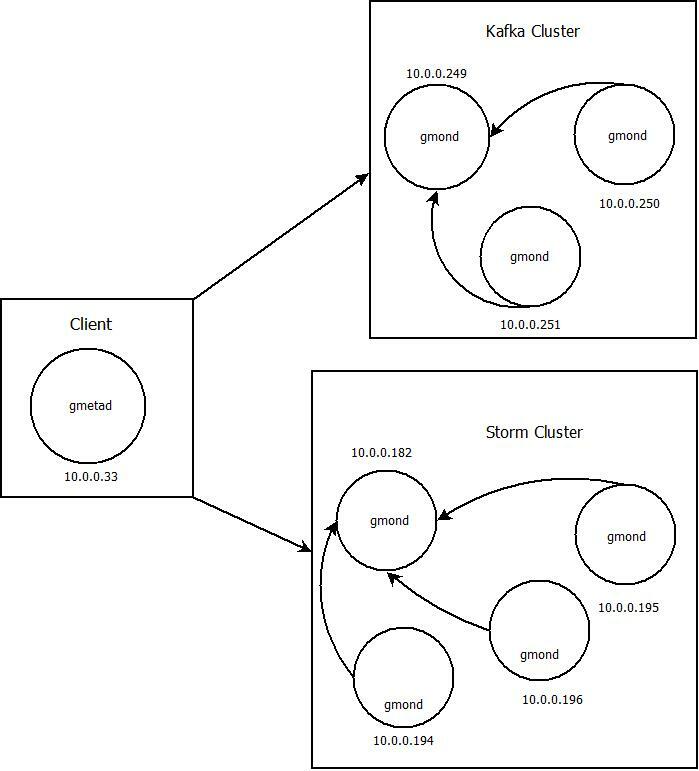 Based on configuration, ELB will ping that path with that port to check the health condition and if it fails it will automatically remove your instances from the load balancer. Since, Log-In is the default screen of my application (welcome page), so I'm using the path of Login screen as my ping path. 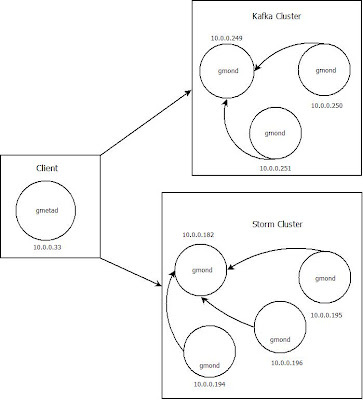 Step#4: Choose your Subnet id based on where you want to use your Load Balancer. For my case, subnet-2e961843 is my expected Subnet id. Step#5: Next screen will ask you to select your security groups. I already have a security group for my VPC and I'm using it here too. Step#6: In the "Add EC2 Instances" section, add the instances in where you already deployed Tomcat and your web application. Step#7: This screen is for review purpose. Once you review it you can finally create your load balancer by clicking on the "Create" button. Step#8: Once you create your balancer, it will redirect you to Load Balancer list and now you will see your newly created load balancer in the list. DNS Name column shows newly created DNS Name for your load balancer and you should be able to navigate it with proper port. Since you are using Tomcat with load balancer, it's pretty obvious that you might want to enable sticky session with session replication in Tomcat. My web application is a Spring MVC application and it uses Spring Security for all type of authorizations and authentications. If I directly go to the Log-In screen of my load balancer and try to authenticate, it might not work. It's expected as Tomcat gets confused when sending request and response in multiple instances. If I enable sticky session I will not face this issue. You can do it with the help of AWS EC2 console. Open the Load Balancer screen and select your newly created load balancer. If you look carefully at the port configuration part, you will see "Stickiness: Disabled" for all of your ports. By default, stickiness is disabled for all the ports you select for load balancer. Now click on the "edit" button of the port on where you want to enable stickiness. For my case, it will be port 8080. Once you click on the "edit" button, it will ask you how you want to enable session stickiness. You can either choose Load Balancer Generated Cookie Stickiness or Application Generated Cookie Stickiness. For my simple application, I have selected "Load Balancer Generated Cookie Stickiness" and I entered 86400 as my cookie expiration period which is a day in seconds. After you enable it, you should be able to test your session stickiness. For my case, now I'm able to successfully authenticate to my application. Some considerations: Sometimes you might see your load balancer is down or the link is not working or shows no page. In that case, best way to quickly test is to check each of the instance where tomcat is running and check whether you can access them individually (e.g. http://ip.address.instance-1:8080/HelloWorld/login.jsp). If you find that each of the instance is up and running, you can try removing them from your load balancer and add them again. Remember, "Status" section under "Description" tab of your load balancer does not get updated instantly. It takes some time and it waits for the result of the next health check. So wait few minutes until you see "Status: N of N instances in service". That's pretty much it! This is the very basic AWS Load Balancer example with minimum configuration of Tomcat + Session Stickiness. Once its working for you, you can try other options (highly encouraged) and see how it works for you. In my previous post, I discussed about how to stress test Cassandra. In this post, I will discuss on some easy steps to tune-up its performance. I'm a big fan of Cassandra. It is optimized for very fast and highly available data write. There are so many things you can do to optimize its write and read performance further. But today, I will only discuss on some major and easy tune-up steps which you can apply easily. Dedicated Commit Log Disk: I think this is the first tune-up you may want to try as it gives you a significant performance improvement. But before changing commit log destination it would be better to know it gives performance boost. Cassandra write operations are occurred on a commit log on disk and then to an in-memory table structure called Memtable. When thresholds are reached, that Memtable is flushed to a disk in a format called SSTable. So if you separate out Commit Log locations, it will isolate Commit Log I/O traffics from other Cassandra Reads, Memtables and SSTables traffics. Remember, after the flush, the Commit Log is no longer needed and is deleted. So the Commit Log disk doesn't need to be large. It just need to be in the size where it can holds Memtable data before its flushed. You can follow the following steps to change commit log location for Cassandra. Step#4: Restart your Cassandra cluster. Increasing Java Heap Size: Cassandra runs on JVM. So you might face out of memory issues when you run a heavy load on Cassandra. There is also a rule of thumb about how you want to keep your heap size. Remember, just a larger heap size might not give you a performance boost. So a well-tuned Java heap size is very important. To change the Java heap size, you need to update cassandra-env.sh file and then restart Cassandra cluster again. If you are using Opscenter, you should see the updated heap size on one of the Opscenter's metrics. Concurrent Writes: Most of the time you do not need it as write is usually fast. If needed, you can set the value to equal or higher than the concurrent reads. To change the value, you need to update conf/cassandra.yaml configuration file. There are two parameters present for these two: ConcurrentReaders and ConcurrentWriters. Update those values based on your system and restart Cassandra to take the effect. You can monitor key cache performance by using nodetool cfstats command. Tune-Up Row Cache: In Cassandra, row cache is disabled by default. Row cache holds the entire content of the date in memory. So a column family with large rows could easily consume system memory and could impact Cassandra performance, that's why its disabled by default and should be remain disabled in most of the cases. But if your column data is too small then using row cache will significantly improve performance as row cache keeps the most accessed rows hot in memory. To enable row cache, you can alter your column family and can pass number of rows for row cache. You can also monitor it by using nodetool cfstats command like above (watch for . "Row cache hit rate"). Conclusion: As I said early, these are only some of the tune-up steps, there are more (high performing RAID level, file system optimization, disabling swap memory, memory mapped disk modes and so on). But I gave you something you can start with, once you find out improved Cassandra performance you can try the rest of the tuning. Cassandra is highly scalable and scaling up is done by enhancing each node (more RAM, high network throughput, SSD, disk size, etc). Remember, if you are using AWS EC2 instance do not expect much performance improvement if you are using medium or small type instance as they are not optimized for better I/O or network, use xlarge+ instance instead. And finally, DO NOT forget to check the Cassandra Performance and Scalability slides by Adrian Cockcroft. Suppose you want to run your workflow in every two hours or once per day, at that point coordinator job comes out very handy. There are several more use cases where you can use Oozie coordinator. Today I'm just showing you how to write a very basic Oozie coordinator job. I'm assuming that you are already familiar with Oozie and have an workflow ready to be used as coodinator job. For this tutorial, my Oozie workflow is a shell-based action workflow. I want to execute a shell script in every two hours starting from today to next 10 days. My workflow.xml is already inside the a HDFS directory. coordinator.xml - Definition of coordinator job is defined in this file. Based on what(time based or input based) your workflow will trigger, how long it will continue, workflow wait time - all of this information need to be written on this coordinator.xml file. coordinator.properties - Contain properties for coordinator job, behaves same as job.properfiles file. As you noticed I mentioned application path oozie.coord.application.path and that path contains the cooridnator.xml file. Now I'm pretty much set. Now if I execute a coordinator job now it will execute the coordinator app located in the coordinator application path. Coordinator app has a tag <workflow><app-path>.... </app-path></workflow> which specifics the actual workflow location. At that location, I have my workflow.xml file. So that workflow.xml will be triggered based on how I define the job in coordinator.xml file. If you are running your coordinator job successfully, I highly recommend you to go through this document and try out some other use cases and alternatives.